Help the kids in your life see that the whole Bible speaks to them. 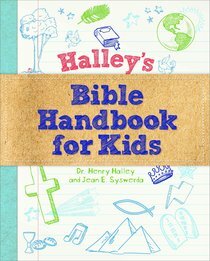 Halley's Bible Handbook for Kids uncovers important life lessons from Genesis to Revelation. With summaries of almost every chapter and information about major people, places, and customs, this guide helps ten- to twelve-year-old readers grasp and apply unchanging truths. Open the pages of this engaging handbook along with your Bible and see how reading God's Word can be a fun and exciting adventure for the entire family. About "Halley's Bible Handbook For Kids"